This building has been sold. 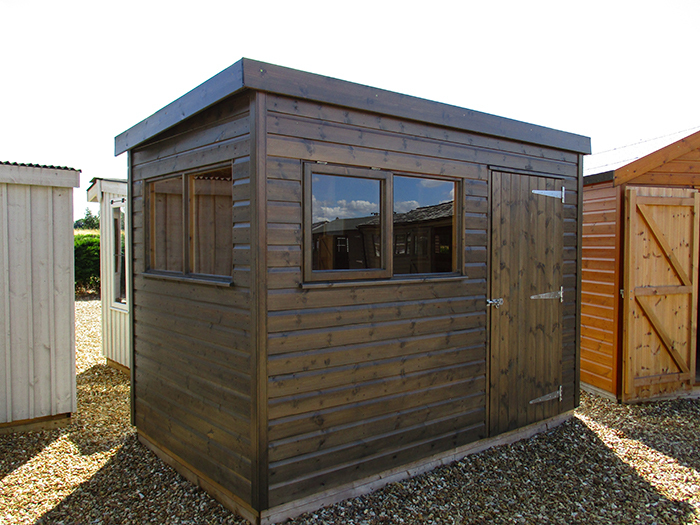 Options: This 1.8 x 3.0m Superior Shed is an ideal option for someone looking for a reliable, durable and high-quality workshop or storage space. 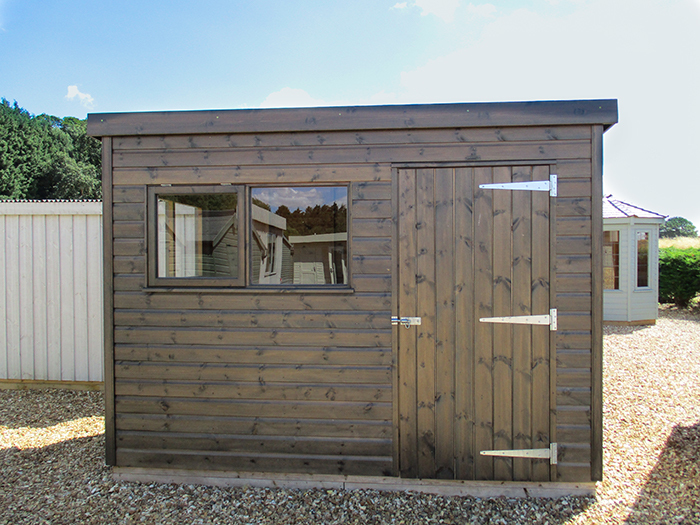 Externally, the shed benefits from smooth shiplap cladding painted in our translucent Sikkens stain in Grey: this stain allows the natural wood to show through, enhancing the natural beauty of the timber. 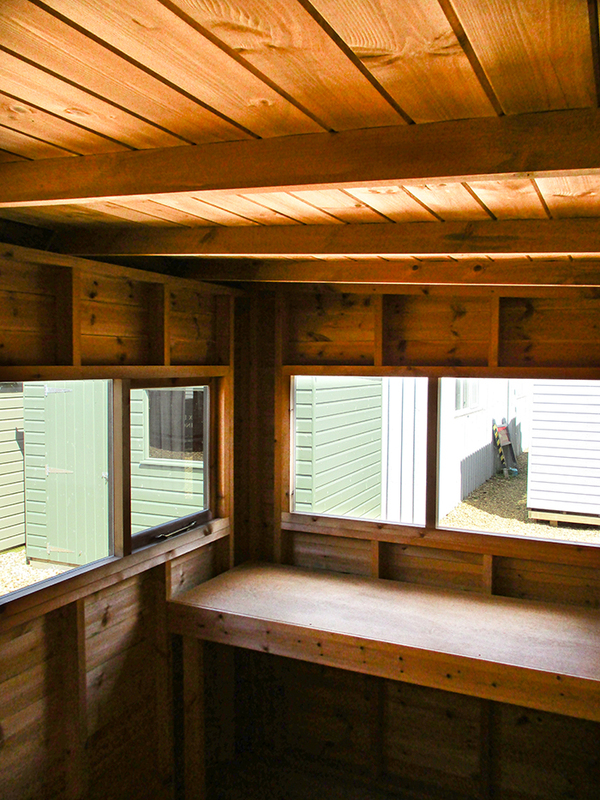 Internally, the shed is unlined, and it boasts a 1.8m long workbench in the left gable and one opening window (out of four) to provide adequate ventilation. 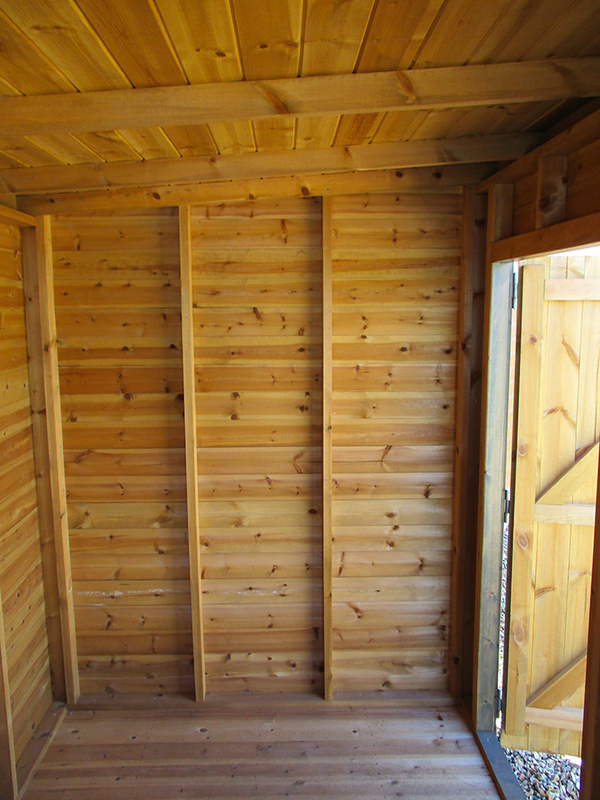 The building has a pent roof covered with heavy-duty, heat-bonded felt, which will also protect against the elements and ensure longevity. Please note: due to the amount of people who walk in and out of all our Ex Display Buildings it is likely that there are scuffs and marks on the floors.